If you're looking for picturesque parks, diverse restaurants, quality hotels, and premier shopping, Brentwood, offers all that and more. When it comes time to look for a home, add peaceful streets, top-notch schools, and elegant homes to the mix you quickly realize that buying a home in Brentwood, Tennessee, should be at the top of your list. Here's everything you need to know. Located approximately 10 miles south of Nashville, the City of Brentwood is considered a suburb in Williamson County. You will enjoy living in this close-knit community that provides more than enough options to keep you and your family busy if that's what you want. When you're ready for peace and quiet, you'll definitely enjoy the serenity of your surroundings. Close enough to the big city for you to participate in Nashville's events, like going to cheer on the Titans or Predators, visiting Vandy, or touring the Honky Tonk Highway. Yet, you'll soon realize that Brentwood is a thriving town in its own right. According to the 2014 U.S. Census, the estimated population of Brentwood, TN, is 40,982. Williamson County is ranked as one of the wealthiest counties in the United States. If you and your family gravitate toward outdoor activities, Brentwood is host to seemingly endless possibilities and options for participation and enjoyment. The park system is comprised of 13 parks and greenways that cover over 916 acres. You have plenty of room to explore throughout the 20 miles of hiking and biking trails. In addition to physical activity, Brentwood's parks also provide the opportunity for enjoying free summer concerts. Bring a picnic, spread a blanket, take in the spectacular scenery, and spend the evening relaxing with a serenade and cool breeze. Brentwood is home to a wealth of parks – 916-plus acres comprise 13 parks and greenways and 20 miles of biking and hiking trails provide plenty of room to roam – from running, biking or playing sports to just relaxing and enjoying the city's beautiful green spaces. Brentwood has a variety of facilities and services for recreation. In addition to the traditional park amenities, the parks and greenways offer great aesthetic beauty and numerous environmental and interpretative education opportunities. The city encourages you to take full advantage of the activities and recreational opportunities available in our community. Concord Park: 40-acres surrounding Brentwood Library offers walking paths, bikeways, practice fields, and open areas for picnics. Crockett Park: With more than 164 acres, you'll find the Eddy Arnold Amphitheater, an indoor soccer facility, and the Cool Springs House. Play some disc golf or tennis, or enjoy a snack from concessions while you take in a baseball game. Your kids can enjoy the community playground while you relax, or you spend the day hiking the trails. Nutro Dog Park: When you want to get your four-legged companion out for some fresh air, Nutro is the place to do it. The park's divided into two distinct areas according to your dog's size to relieve anxiety. There's a small dog area that covers about .65 acres, and the 1.5-acre large-dog area is set aside for dogs over 25 pounds. Each area provides the all-important hydrant, water stations, and shaded benches. The Brentwood Public Library is ranked as one of the nation's best. It is, in fact, listed among the top 10 children's libraries. They offer programs for every age level from preschool through adult. There are ACT prep classes for your teenager, as well as Pizza and Pages to just enjoy the reading activity. Your preschooler is bound to enjoy one of the many opportunities to interact with Story Time. A Games Club is divided for age-specific groups accessible for each level. Adults have opportunities to participate in computer and technology classes, arts and crafts, or fitness groups. Enjoy the restaurant scene? There is no shortage of opportunities to sample some truly excellent fare throughout Brentwood, TN. Mere Bulles offers a stately atmosphere in an original plantation home and serves a simple but delicious menu. When you're on the lookout for breakfast or lunch, Front Porch Cafe is definitely a stop to make. You'll enjoy the atmosphere and charm as well as the fine selection. Brentwood public schools are part of the Williamson County School District, and they are ranked among the nation's highest. In fact, Great Schools consistently lists each grade level and school as a 9 out of 10 across the board. In addition to the public school options, Brentwood and the surrounding county is also home to quality private school opportunities. You will definitely appreciate the academic rigor and college preparedness, but both you and your children will appreciate the many avenues they have to express themselves through extra-curricular outlets. Williamson County, TN, is home to scores of neighborhoods and developments where there is sure to be at least one that suits your lifestyle and personal taste. These are only a sampling of what Brentwood has to offer for those looking for a quality home. Brentwood's Annandale neighborhood offers outstanding amenities including a pool, lakes, walking trails, and parks. Situated in an excellent location that provides top school options, and it's close to the highway. Homes in this development continue to retain their value. This subdivision is definitely among the cream of the crop. It's an elite area with a golf course, clubhouse, and pool, among other amenities. It's a stunning neighborhood with gorgeous houses. Included within this neighborhood is a park, walking trails and a lake. It's also next to Granny White Park, where you can enjoy the fantastic athletic facilities. Situated close to downtown Brentwood and all it has to offer, you also have the advantage of great schools. 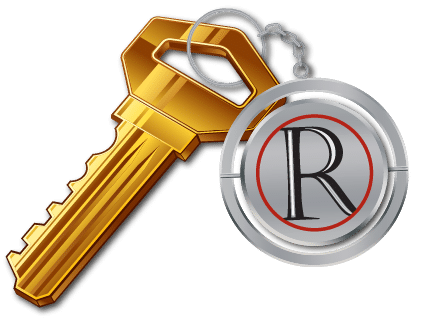 When you decide you'd like to explore the many perks that living in Brentwood, TN has to offer, don't hesitate to contact one of the knowledgeable professionals at Reliant Realty. We are happy to introduce you to this truly unique town. You can reach an agent by filling out our online form or calling (615) 859-7150.